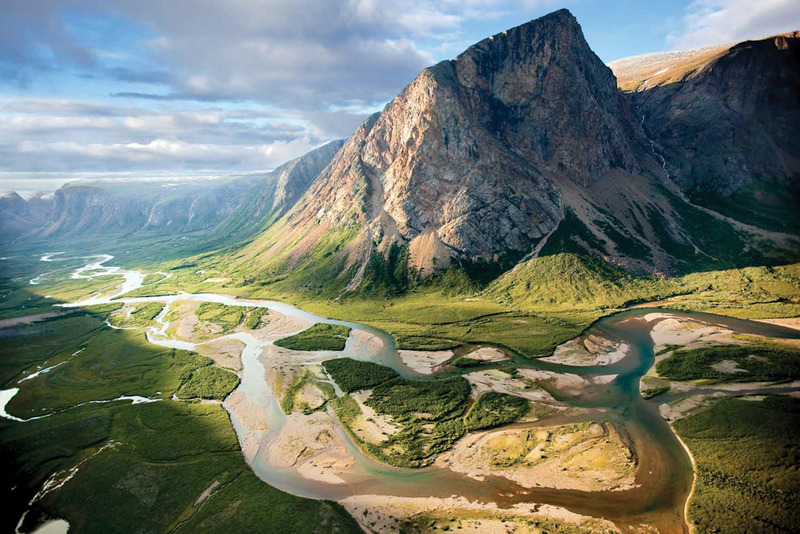 The remote Torngat Mountains Base Camp and Research Station in Labrador (photo: Newfoundland and Labrador Tourism). Soul stirring view of the Northern Lights above Aurorua village in the Northwest Territories of Canada (photo: Aurora Village). 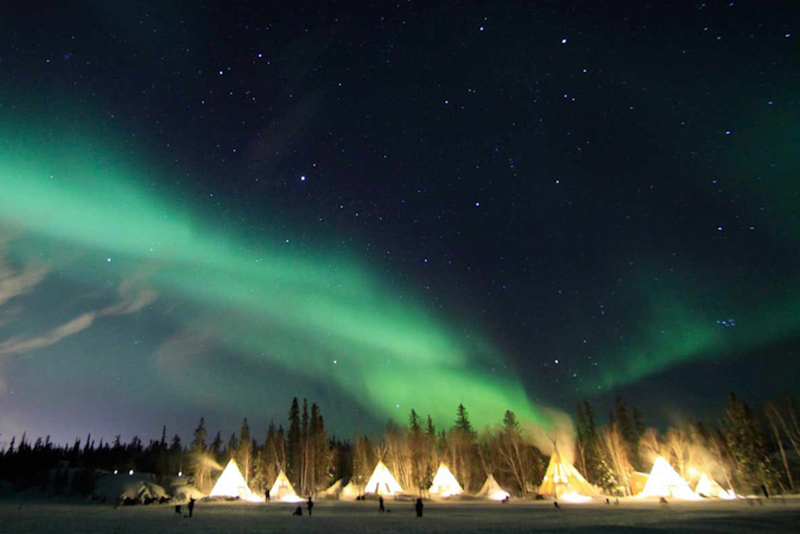 Northern lights and teepees in Aurorua Village (photo: Aurora Village). 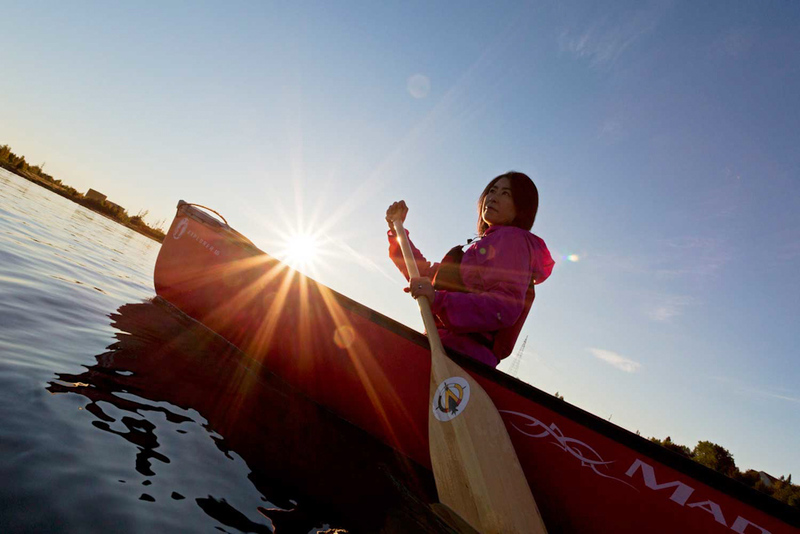 Tranquil sunset canoe excursion on Lake Manitou, Ontario (photo: Great Spirit Circle Trail). 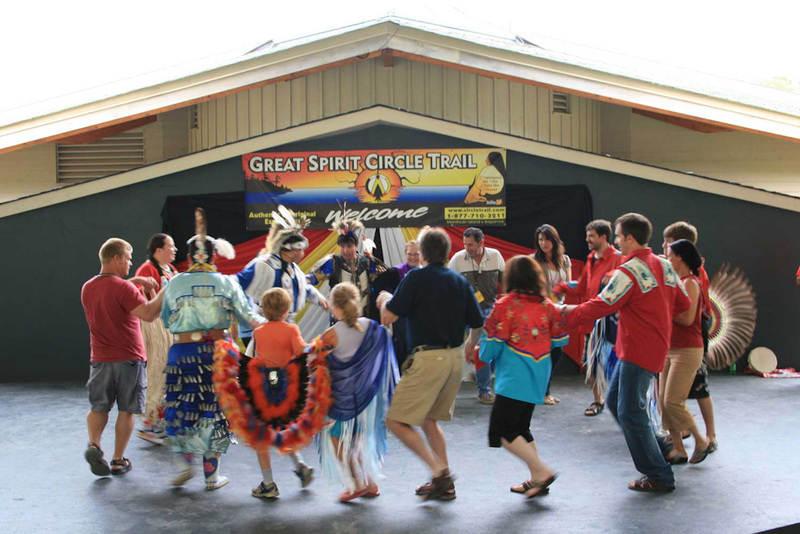 Visitors join in a dance at a guided aboriginal experience in the Great Spirit Circle, Ontario (photo: Great Spirit Circle Trail). 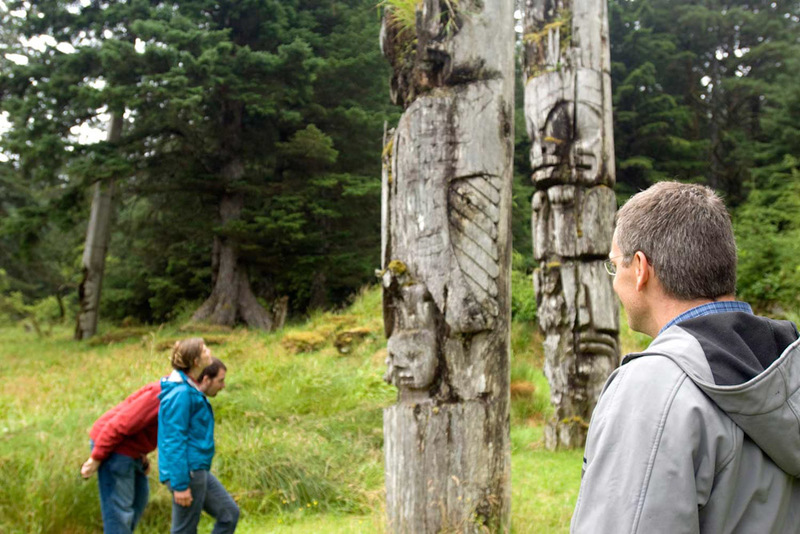 Totem poles at the abandoned Haida Indian village in Queen Charlotte Islands, B.C, Canada (photo: Canadian Tourisim). 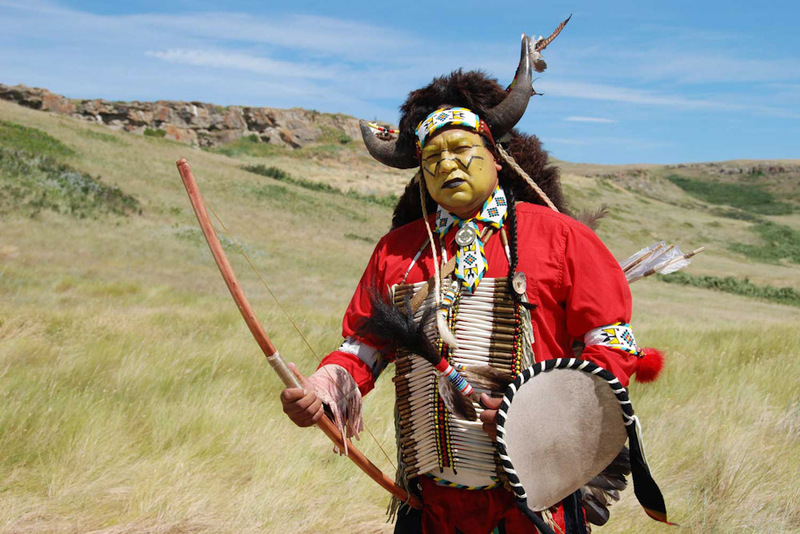 Traditionally dressed Blackfoot man standing on the rolling prairies of Head-Smashed-In Buffalo Jump, Alberta (photo: Head-Smashed-In Buffalo Jump). 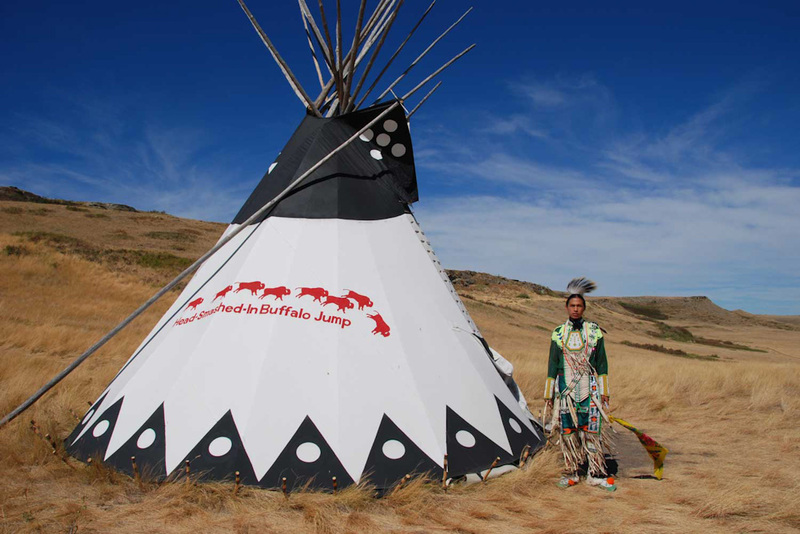 Blackfoot man and teepee at Head-Smashed-In-Buffalo-Jump (photo: Canadian Tourism). Hiking in the pristine wilderness of Torngat Mountains National Park (photo: Newfoundland and Labrador Tourism). 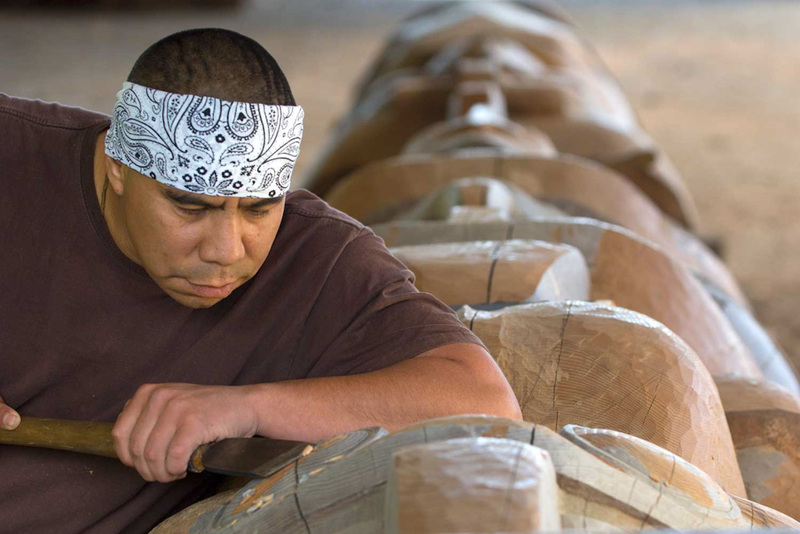 Traditional totem carving at the Haida Heritage Centre on Queen Charlotte Islands, B.C, Canada (photo: Canadian Tourism). Rolling plains of Wanuskewin Heritage Park in Saskatchewan (photo: Asymetric Finn O'Hara). 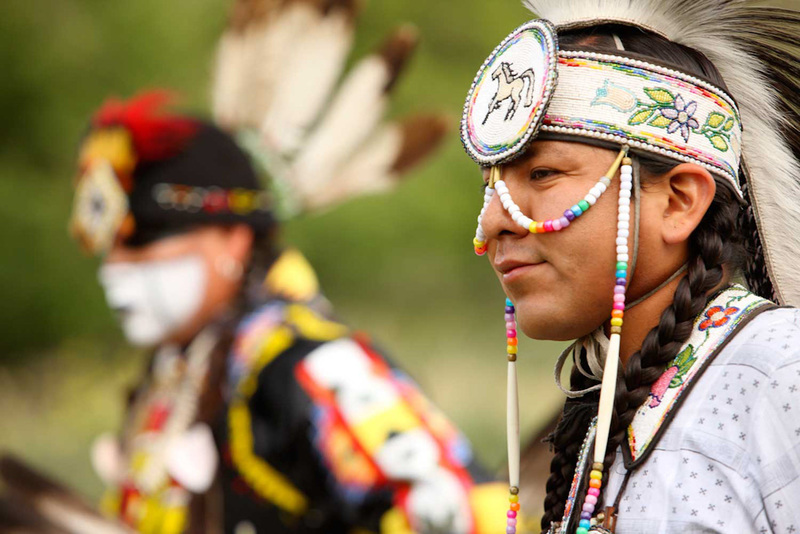 Man in Native Indian dress at Wanuskewin Heritage Park, Saskatchewan (photo: Tourism Saskatoon). 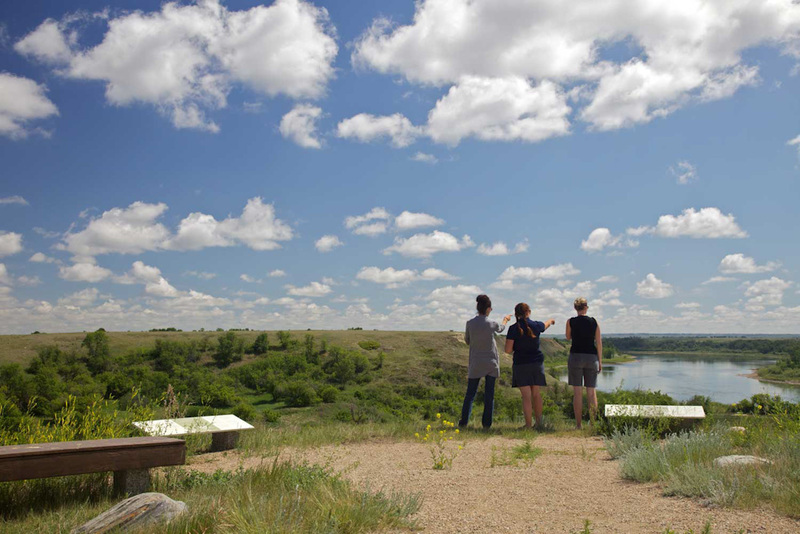 Visitors enjoying the sun and Milk River at Writing-On-Stone Provincial Park, Alberta (photo: Canadian Tourism). 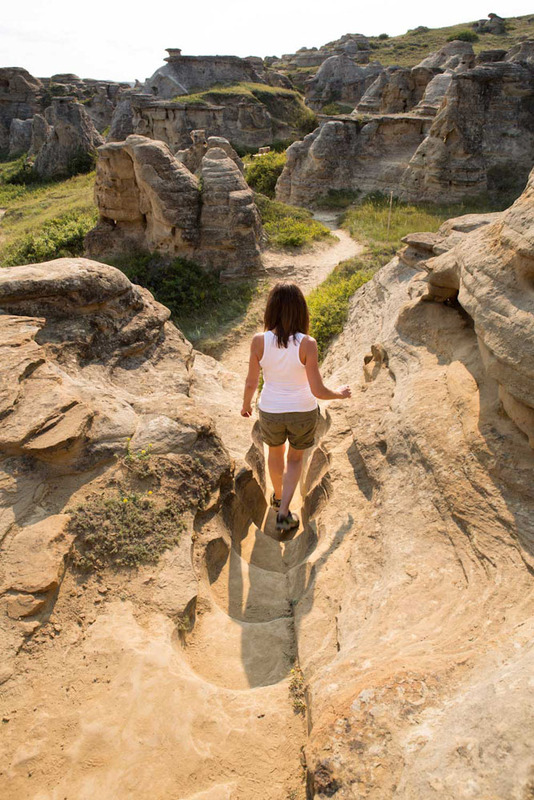 Hiking through the stones in Writing-On-Stone Provincial Park, Alberta, there is a high concentration of tribal rock art in this area (photo: Canadian Tourism). Nothing roils our emotions like tragedy, and the history of Canada’s original inhabitants has certainly been a tragic one since Europeans arrived. But rather than dwell on past injustices, the following sites illuminate and celebrate a range of distinct aboriginal cultures that are far from forgotten. For travellers seeking insight into the shocking history and inspiring perseverance these are Canada’s best First Nations sites. By Adam Bisby. Standing atop this gravity-powered abattoir, you can almost hear the thunder of hooves and the crunch of skulls. Your imagination may have been ignited by the nearby interpretive centre, which does a superb job of illustrating how, for nearly 6,000 years, the region’s indigenous Blackfoot people hunted buffalo en masse by driving herds of the beefy beasts off 11-metre-high cliffs. Or maybe you just spent the night in one of the centre’s colourful tepees, or witnessed a demonstration of Blackfoot drumming and dancing, or learned to craft your own pair of moccasins. With nothing but rolling prairie between you and the distant horizon, it’s mainly the emptiness of this World Heritage Site that makes it so evocative of a way of life — and death — that will never return. Each summer this unique temporary settlement returns to the incredibly remote southern edge of its namesake national park. 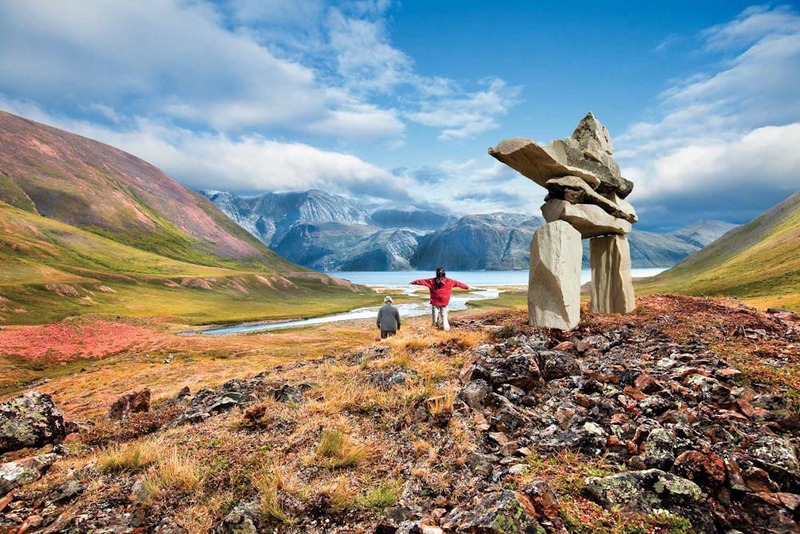 It hosts international researchers intent on studying caribou and polar bears, Inuit youth and elders looking to reconnect with their ancient roots, and hundreds of visitors eager to hike and kayak through this pristine and dramatic northern terrain. You can stay in insulated domes with heat and electricity, with guided excursions visiting jaw-dropping spots such as Saglek Fjord, where 3,000-foot cliffs plunge into the ocean, and Sallikuluk island, home to burial sites and traditional hunting grounds dwarfed by a spectacular alpine backdrop (read more about it here). Never has slow decay been so moving. The centrepiece of Gwaii Haanas National Park Reserve and Haida Heritage Site on the Queen Charlotte Islands is this abandoned Haida Indian village on remote Anthony Island. It’s home to the largest collection of Haida totem poles in their original locations — more than two dozen — along with an array of longhouse remains. Rough-hewn images of bears, whales, and eagles echo the natural beauty of the surroundings, with many of the artefacts draped in moss and lush forest. On the rocky beach, the still-visible channels carved by canoes are a fitting symbol of a culture that arrived, thrived, and then faltered — but that always sought to be at one with its surroundings. 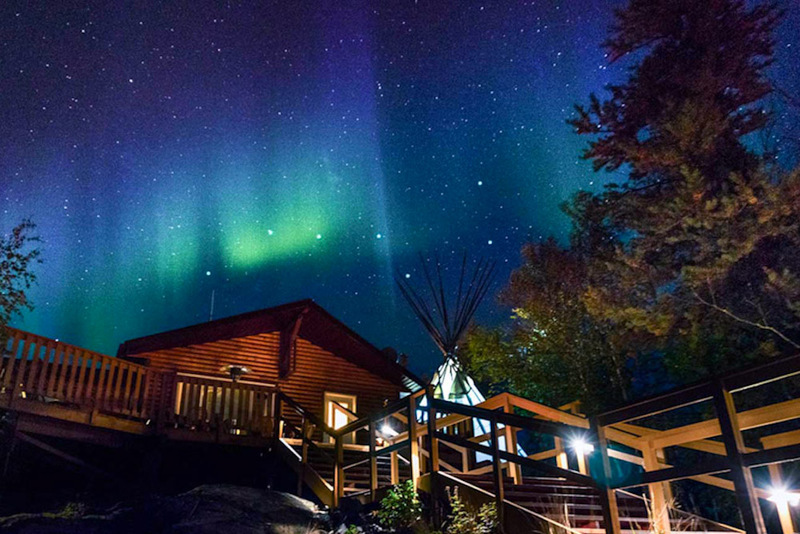 Spotting the Northern Lights is guaranteed in Yellowknife come winter, and the world’s largest aurora-viewing complex, a short drive west of town, adds a welcome dose of comfort to the magical experience. Its woodstove-heated teepees provide shelter from the extreme cold; a rustic, roomy lounge serves all manner of hot beverages; and rocky hilltops, wooden platforms and heated viewing pods, all connected by lantern-lit pathways, offer unobstructed views of the shimmering wonders overhead. This is not a First Nations site per se. Rather, it is a series of guided aboriginal experiences that celebrate and share the culture and traditions of the Anishinaabe people of Manitoulin Island, the world’s largest freshwater isle. Among the options is an hour-long tea-picking and preparation course, sunrise or sunset canoe excursions on Lake Manitou – the world’s largest lake on an island in a lake – and an overnight teepee and drum circle (head here to read more). Why did native tribes, coming and going over the millennia, pick this particular spot to amass the greatest concentration of rock art on the North American Plains? 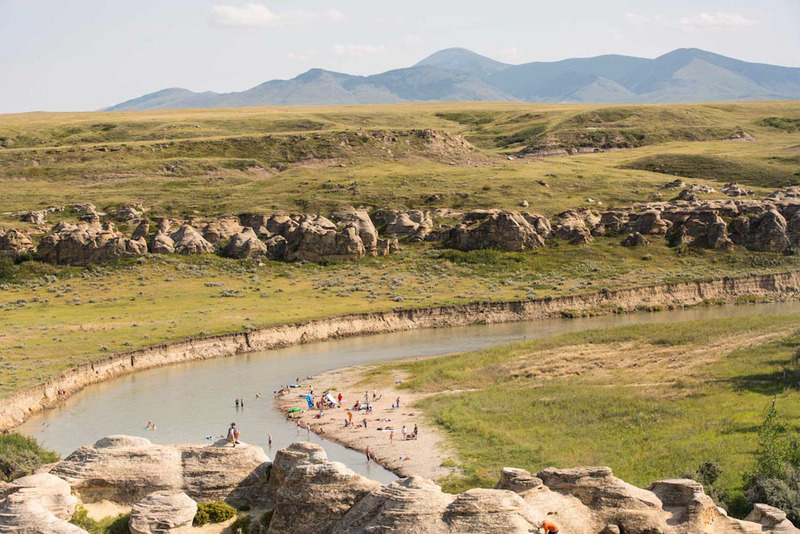 A visit to this compact park deep in southern Alberta soon reveals the allure: a sea of towering sandstone hoodoos yields spiritual inspiration, a dip in the gently meandering Milk River provides delicious relaxation, and a wealth of pheasant, partridge, deer and antelope must have delivered dinner back in the day. These days, campers dine on grilled Alberta steaks — a spiritual experience all its own — and join guided tours of the 50-plus sites where, centuries ago, native people carved images of warriors, hunters and dancers into the hoodoos. Now vying for World Heritage Site status, this fascinating complex explores 6,000 years of Northern Plains Indian culture. More than 20 hands-on archaeological sites can be found here, along with walking and snowshoe trails, a medicine wheel, and a buffalo enclosure. For a more immersive experience, year-round teepee sleepovers include bannock and muskeg tea, as well as traditional storytelling around a campfire.